For the area, see Netherlands (area). The Netherlands is a formable nation in Europe, which can be formed by Burgundy or countries with a Dutch or Flemish culture. The formation decision however, requires only Dutch provinces and not Flemish ones. The Dutch are a formidable trading power, reflected in their national ideas, and can dominate trade with effective usage. Though usually and historically a small nation, the Netherlands can rake in hundreds of ducats from colonization and trade to effectively become the dominant European powerhouse with careful management. However, their size does mean a small manpower and force limit to draw from, which though early on can be a high hurdle to overcome, the Netherlands can often overcome this late game with liberal usage of mercenaries from their large trade empire. Historically, the Netherlands became fully independent from Habsburg Spain in 1581.
republic with elections taking place every 4 years. Unlike other republics, royal marriages are allowed. The faction in power is determined by a single influence slider ranging from -100 to +100, with Statists being in power when value is negative or zero, and Orangists being in power when value is strictly positive. Regular events will move the Netherlands on this slider depending on the player's choices. The Dutch republic has a unique election mechanic. At the end of either the current ruler's term or life, the player will be presented with two candidates in an event, one Orangist and one Statist. Choosing either one will move the influence slider by 33 points in the direction of its faction, and thus will factor into which faction is in power. Unlike regular republics, the stats of both candidates are chosen at random, but the player can still see them prior to picking its candidate. One should note that choosing a candidate from either side does not necessarily bring its faction to power if the slider is too unbalanced: a Statist candidate may reign until he dies if Orangists are in power. The strengthening of the Statists has forced $MONARCH$ to accept the election of a new [Root.Monarch.GetTitle]. Both the Statists and the Orangists have put forward a new candidate. The strengthening of the Statists has forced $MONARCH$ to accept the election of a new [Root.Monarch.GetTitle]. Both the Statists and the Monarchists have put forward a new candidate. uses ‘Statists vs Monarchists’ mechanics. is not the lesser partner in a personal union or the Statists are in power. the end of the election cycle in a republic. strengthen Statists in power by 33. Enabled if: the country has Dutch Republic government. gets a new ruler of the “van Oranje” dynasty. strengthen Orangists in power by 33. Enabled if: the country has not Dutch Republic government. gets a new ruler of a former dynasty. strengthen Monarchists in power by 33. The unfortunate passing of $MONARCH$ forces us to hold a premature election. Both the Statists and the Orangists have put forward a new candidate. The unfortunate passing of $MONARCH$ forces us to hold a premature election. Both the Statists and the Monarchists have put forward a new candidate. the death of the ruler in a republic. 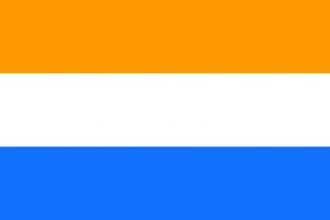 Enabled if: the country does not have Dutch Republic government. republican tradition is lost monthly when Orangists are in power. It is also not possible to decay into a republican dictatorship at low republican tradition, since Orangists already represent the tendency towards despotism. Forming the Netherlands as a member of the Holy Roman Empire will cause it to leave the empire, unless it is an elector or the Emperor. Forming as Burgundy will additionally cede French land to France, if it exists. Spain in 1568 and formed the Republic of the Seven United Netherlands. This is portrayed in EU4 as a series of events that happen in the same time period. If the year is between 1550 and 1650 and the Netherlands does not exist, a player-controlled nation that controls parts of the low countries and does not have Dutch or Flemish as their primary culture will receive events causing revolts which, if successful, eventually lead to the formation of the Netherlands. (For an AI-controlled country meeting these criteria, instead the Netherlands gets cores on all owned Dutch or Flemish provinces in the Low Countries, is released as a vassal, and immediately declares an independence war.) The newly-independent Netherlands will then receive a full navy and army and claims over the low countries, and will also annex other AI-controlled Dutch minors (independent, at peace and with 4 or fewer provinces) and gain alliances with the overlord's rivals through events. The Dutch revolt can be avoided by other nations with a cultural shift to Dutch or Flemish culture, or by converting provinces in the region to a different culture. A company of merchants are asking the States-General for a 21 year monopoly to carry out colonial activities in Asia. These areas are potentially very rich, but they need the monopoly because the risks are so high. does not have the modifier “Vereenigde Oost-Indische Compagnie”. has discovered a province of Japan (region), Burma, Western India, Coromandel, Deccan (region), Bengal (region), South or North China. has not enacted the decision ‘Found Indian Trade Company’ or this decision before. have at least 2 home ports. have a diplomatic technology of at least level 10.
owns a port in Japan (region), Burma, West India, Coromandel, Deccan (region), Bengal (region), South or North China. Holland has through the years been plagued by intermittent floods and this limits the potential of what is otherwise very attractive region. While our ancestors have done their best to drain the Dutch swamps they did not posses the same means we do. Let us concentrate all our expertise in land reclamation to improve the region and the city of Amsterdam so that we may create a northern port city worthy to rival the old urban centres of the South. Holland (97) does not have the province modifier “Development of Amsterdam”. owns and cores Holland (97). has a administrative technology of at least level 13. ↑ See in /Europa Universalis IV/common/static_modifiers/00_static_modifiers.txt (Static modifiers#Statists in Power). ↑ See in /Europa Universalis IV/common/static_modifiers/00_static_modifiers.txt (Static modifiers#Orangists in Power). ↑ 3.0 3.1 ‘Statists vs Orangists’ mechanics for Dutch republic.